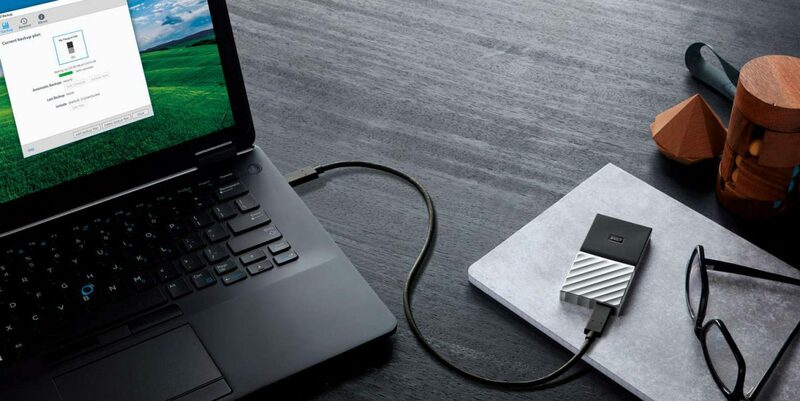 Western Digital has released the world’s first portable SSD drive with a capacity of 1 TB in the US. The new My Passport SSD offers read speeds of 515 MB/s. Solid State Drives (SSD) became popular among server vendors several years ago. This storage technology has gone mainstream among laptop and desktop vendors in recent years as it boosts disk performance. Hard drive manufacturers like Samsung and Western Digital have also started to sell portable SSD drives. Western Digital My Passport SSD is a portable hard drive that’s both fast and lightweight. It’s only 10 mm thick and measures 90 x 45 mm. Hence, it might not fit in a pocket, but is’s getting quite close! Second generation USB 3.1 port. My Passport SSD is available in three different storage options: 1 TB, 512 GB, and 256 GB. The pricing for the 1 TB version is US399, which converts to about NZD573 exclusive of GST. The new SSD drive is currently only available in the US and will start selling at Best Buy shortly. Western Digital hasn’t communicated a release date yet for the New Zealand market.